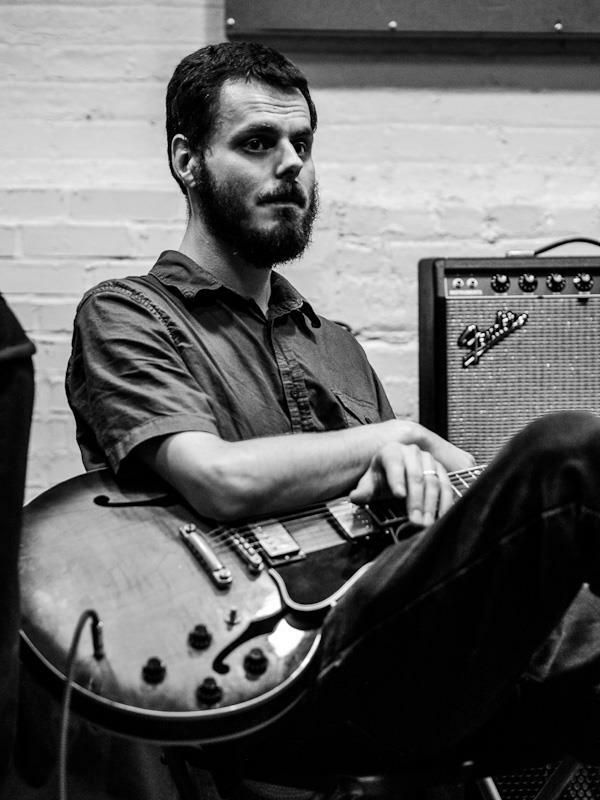 Chris Welcome is a guitarist, composer and electronic musician based in New York. He has recorded for Delmark, AUM Fidelity, New Atlantis, Talking Skull, and Tiger Asylum records. He has performed throughout North America and Europe, notably at the Tusk Festival (UK), Jazzwerkstadt (Swiss), Sonic Circuits (D.C.) and XFest (MA). As a composer he has written over 300 works, including compositions for improvising units, chamber/orchestral pieces, and electronic scores. His current projects include the Chris Welcome Quartet, W-2, HOT DATE, Psychic Shapes Ensemble, and Welcome/Branch/Weinberg. He is a sideman with Sand, Mike Pride’s Drummer’s Corpse, El Noordzo, Shayna Dulberger Quartet, Lisa Mezzacappa Trio, and David McDonnell Group.